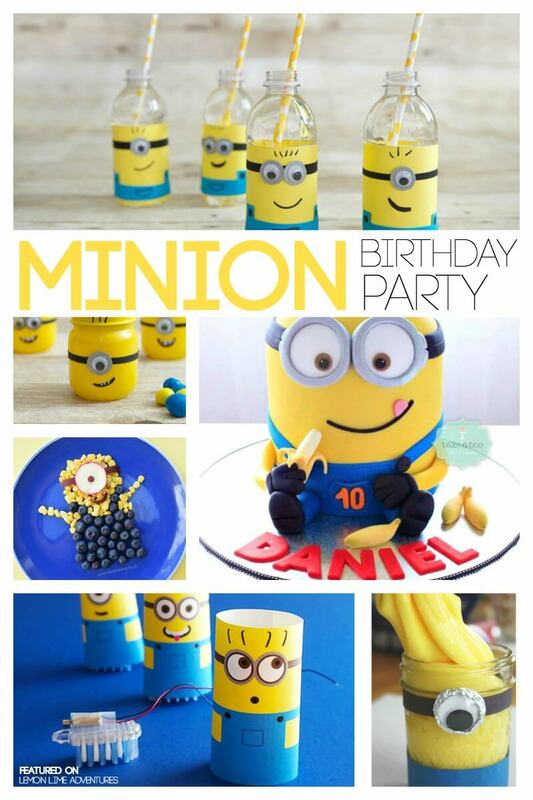 Do you have a Minion fan on your hands? Or maybe, your kids just love making totally awesome Easter eggs from the characters they love? 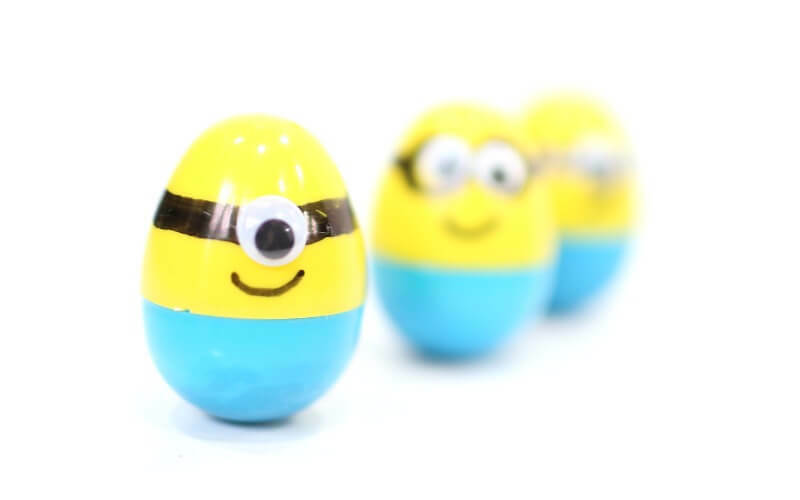 Whatever the case, I know they will fall in love with these super simple Minion weeble wobble Easter eggs. 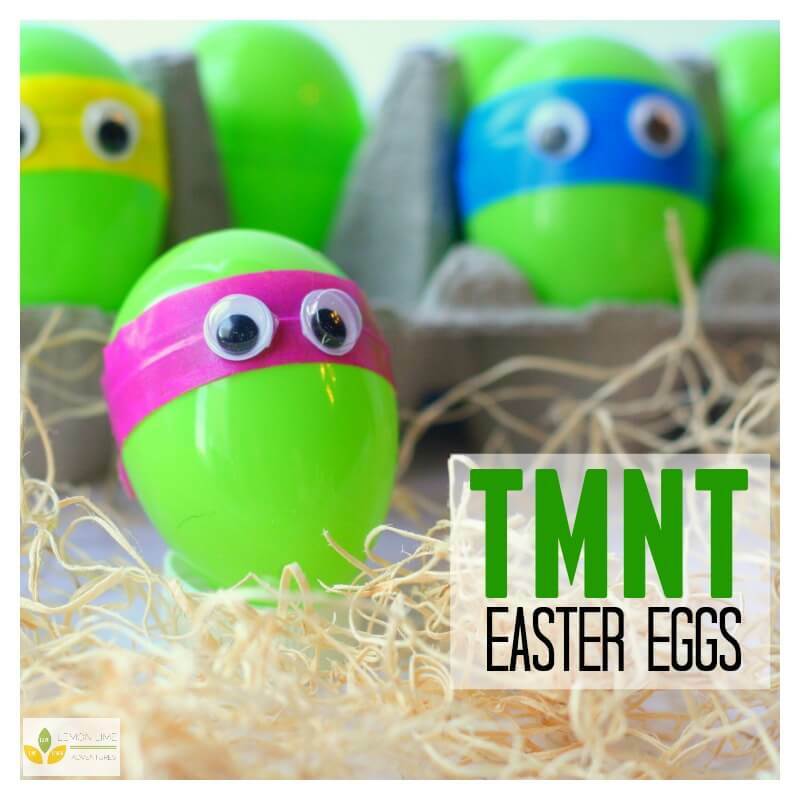 We absolutely love our Teenage Mutant Ninja Turtle Easter eggs and basket that went viral last year, but we’ve always wanted to do another fun take on the simple Easter egg with a favorite character. The other day we were working on a new video for the TMNT eggs when we decided that we had to bite the bullet and make these awesome eggs too! We hope you love them as much as we do! This is super easy. I will be the first to say I am not super crafty nor am I very patient. I like to blame this on the craziness of our house, but really I am sure it’s just my personality. 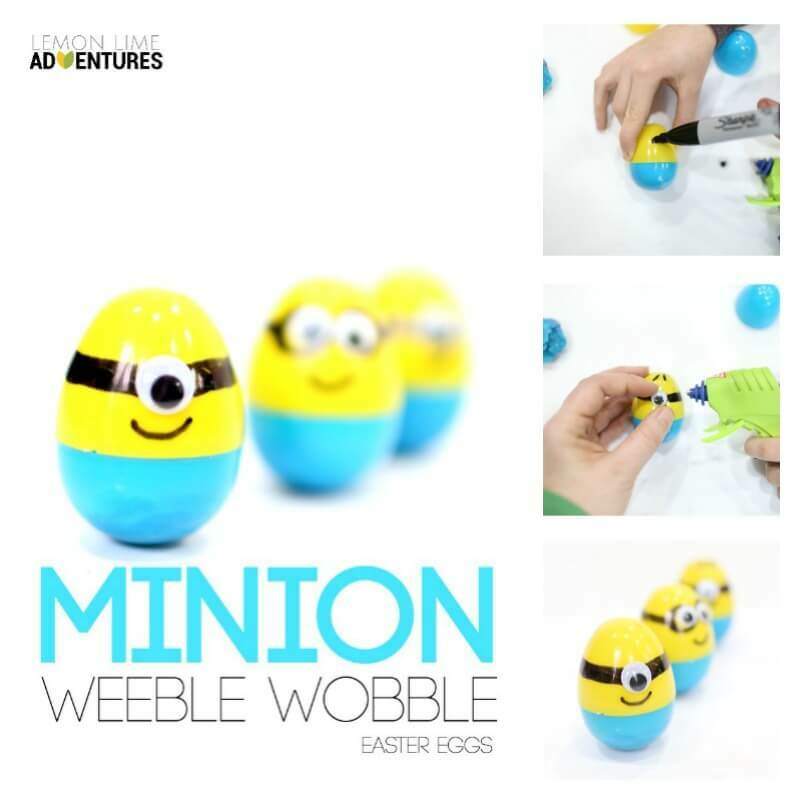 However, I love these Minion Weeble Wobbles. 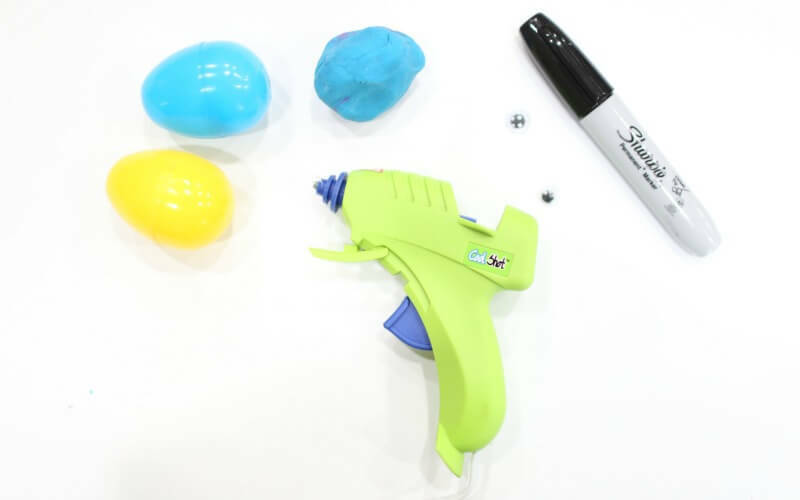 I have actually always had a secret love for weeble wobbles and think they make a pretty awesome sensory activity for kids to put together, which is always a plus in our home. The first think you need to do is add a weight to your eggs. This is easier than you think. In just three simple steps, you can fill your egg bottoms. 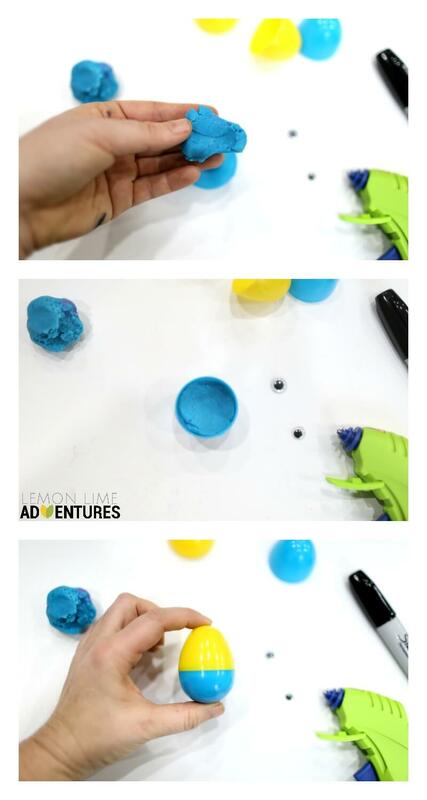 Take just a pinch of playdough, push it into the bottom of a blue egg and close with a yellow top. See… simple. Now it’s time to turn it into a minion. 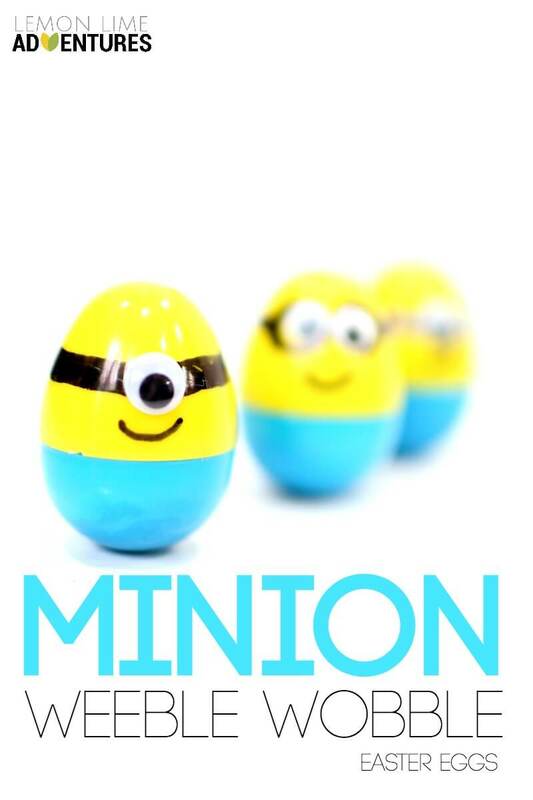 Start by drawing a black line around the top of the egg for the Minion goggles. Optional: You can add cute hair on top for some of the eggs. 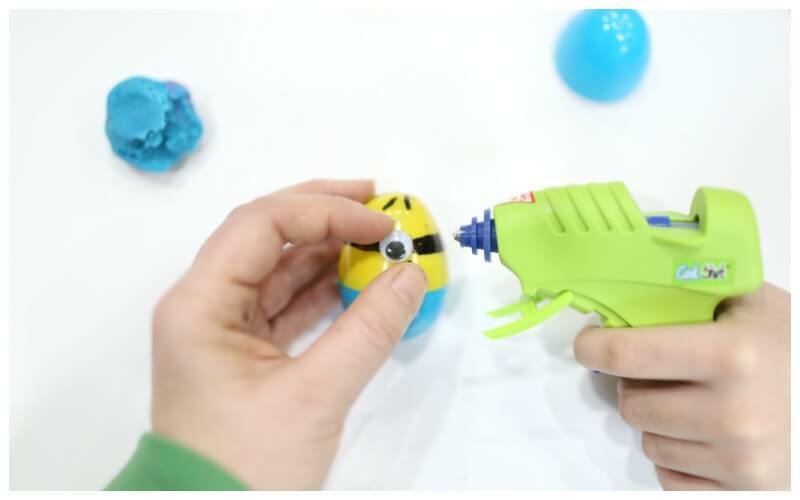 Next, glue your eye or eyes on the egg in the middle of the goggle band. That’s it. That is all it takes. NOW… for the wobble! My kids (okay, and I) couldn’t stop wobbling these guys. We loved hitting them, spinning them and making them dance. OMG!!!! These are so incredibly cute! My kids can't stop playing with them! We couldn’t help put it to music for another fun video! 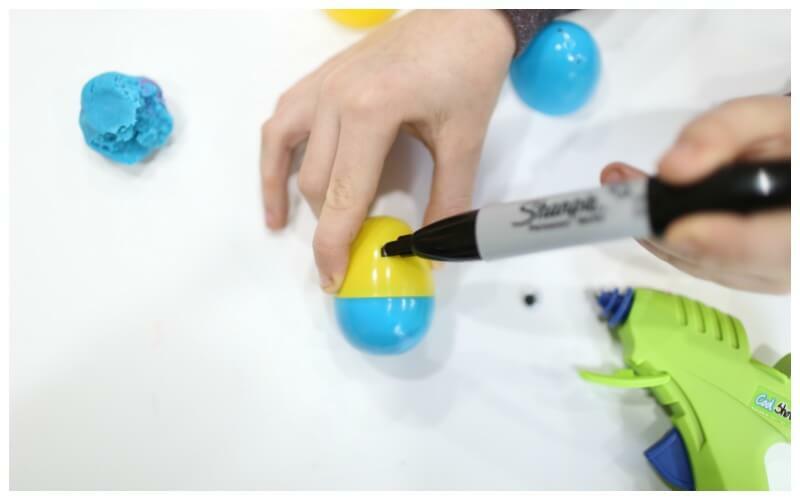 So, tell me… this Easter will you make Easter eggs in your favorite character? Who will it be? I can’t wait to see, if you make them be sure to share them on Facebook, Pinterest, or Instagram and tag me in the photo so I can see them!